The Centre plans to build toilets in one lakh madrassas across the country as part of its efforts to revamp these traditional learning centres. Union Minister of State for Minority Affairs Mukhtar Abbas Naqvi 17 March,said the government has also planned to introduce mid-day meal scheme and upgrade skills of teachers in these educational centres as part its "3T formula -- teachers, tiffin and toilets". He was speaking to reporters at his office in Antyodya Bhawan after the meetings of the Governing Body and General Body of the Maulana Azad Education Foundation, an autonomous non-profit minority welfare institution under his ministry. "In the meetings, we have decided that the madrassas which are providing mainstream education or those that want to, we will help such madrassas on a big scale. And we have a formula of 3Ts -- teachers, tiffins and toilets. "And, under the 'Swachh Bharat' mission, we target to build toilets in one lakh such madrassas by end of the next financial year," Naqvi said. 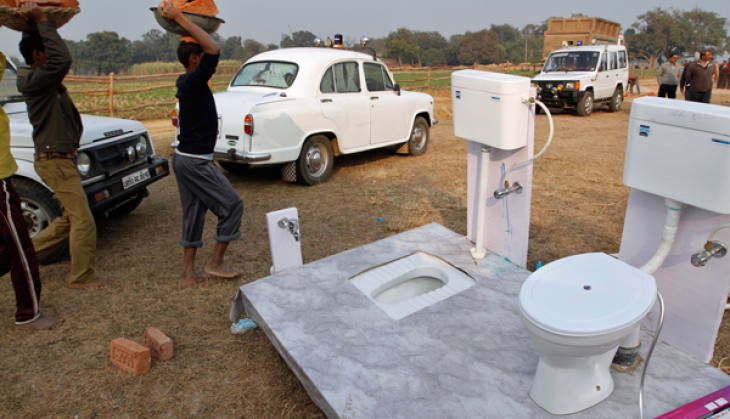 Minority Affairs Ministry officials said these toilets would be build as part of the welfare initiatives of the Foundation, of which Naqvi is the ex-officio President. "Tiffin means mid-day meal and the third T is for teachers. We will also identify madrassas where we need to upgrade skills of teachers or train them or through other programmes to improve the pedagogy," he said. Incidentally, the decision to provide mid-day meal at madrassas was taken during a meeting of the General Body of the Foundation in December, ahead of the Assembly elections in five states. "We also plan to modernise a few madrassas by including imparting of education of science and technology. Some of the members of the Foundation will travel to different states to find out those who wish to associate with this paradigm," Naqvi added. The minister also said that the Foundation wants to increase the number of beneficiaries of its various schemes like the Begum Hazrat Mahal National Scholarship for girls and Garib Nawaz Skill Development Centres. "20,000 girls have benefited from the Begum Hazrat scheme so far and we wish to expand that number to 45,000 by end of this financial year. And, next year, the target would be to benefit five lakh students. "For Garib Nawaz Skill Development Scheme, a proper budget has been finalised and about 100 skill development centres are to be opened," Naqvi said. "We are also planning to build world-class institutions and plans are being worked out," he said.